Migraines can sap a person’s energy and leave one feeling exhausted and unable to complete a normal daily routine. Not only do migraines affect work performance but also recreation and family time. Things such as get-togethers, going to ball games, going on family vacations, and attending work events often have to be put on the back burner, so to speak, until a person is feeling better and recovered. This can take anywhere from a couple of days to an entire week. Research reports that as many as 9 out of every 10 migraine patients cannot complete their daily tasks while suffering from a migraine. This is further shown by the 113 million days of work missed due to migraines, costing US business approximately $13 billion a year. Migraines are not just headaches but are neurological in origin. 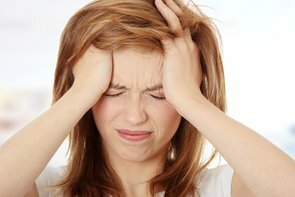 A headache is just one common symptom of a migraine. But not everyone has a headache as a migraine symptom. Also, some people experience chronic migraines, meaning they have 15 or more migraine days per month. This leaves people looking for natural, safe care. However, many do not know where to turn for reliable homeopathic relief. We offer a natural alternative to help migraine pain that does not involve medication. We understand that migraines are often linked to a misalignment of a person’s atlas or axis bone – the top bones of the spine. If a misalignment has occurred, pressure is placed on the blood vessels responsible for bringing oxygen-rich blood to the brain. Using a gentle method, we can correct this problem, thereby helping patients experience improved health. Many have seen fewer migraines after care. Some see them go away completely.